Continuing the theme of my previous (and first) film-related post, I have set myself a goal for the next 2 years: I will watch all of the movies that I haven’t seen that are ranked among the TOP 250 films of all-time according to the Internet Movie Database (IMDB). The site is the largest and most comprehensive online encyclopedia of film. Much like Wikipedia, the site depends partly on the endless work of staffers that keep it up to date, and also by the countless contributions of film fans around the world that take the time to sign up for the site, grade films based on a scale of 0 to 10 and perhaps offer reviews of films they have watched for other users to read. 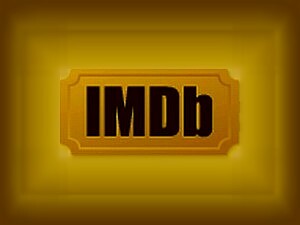 The IMDB TOP 250 has become one of the most quoted guides to find the absolute best films of all time. The recognition has come because it is suggested that most of the users that take the trouble to sign up to the site and give their opinions on films must have a reliable-enough appreciation and knowledge of the art of film. One of the most powerful pieces of evidence behind this assertion is that most of the movies that constitute the current TOP 250 at IMDB are widely considered by professionals of the medium as the best that have been made in the century-long history of cinema. I give myself a deadline of 2 years to explore the 125 films (exactly half !) that I have not seen in their entirety since there are several instances in which I have only partially seen a film. Every time I watch one of the movies I will refer back to this post and offer a review of it. I am sure there will be instances in which I will completely disagree with what the broad majority considers as great, and there I will find half of the fun that comes with this mission, the other half being the actual viewing of some of the most incredible pieces of film ever produced. I will not keep any order in how I go about watching the films. I will just randomly pick one at a time. Bear in mind that some new films may be introduced to the list, and some might leave, which forces me to set all of the films that are there TODAY as the ones that will be part of my goal, not one more, not one less. Nice! I love doing projects like these. There’s a great site for keeping track of progress on this list and a bunch more over at http://www.icheckmovies.com. I am at 159/250 myself. Good luck!